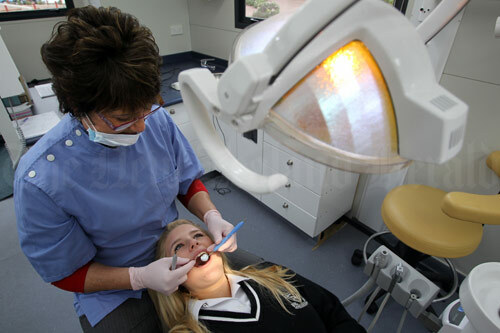 Dental therapist Heather Dalton examines an Avondale College student in Auckland in 2010. She was working with the West Auckland mobile dental clinic, which was one of seven such clinics supplied by the Auckland District Health Board to visit schools. Although under-18-year-olds could receive free treatment from mobile units or from dentists who participated in a district health board scheme, only a third of Auckland teens had seen a dentist in the previous year.